Easter is approaching and with Easter Egg hunts, little parties, work events and family dinners, you may be looking for quick and easy DIY projects you can whip up quickly for the easter period. 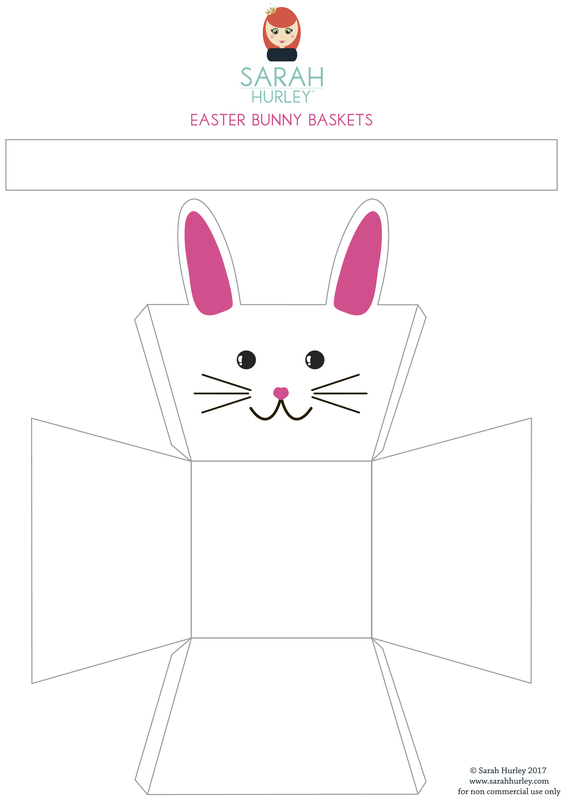 Today we have a super simple printable Easter Bunny basket for you, these cute little baskets make ideal party favours, Easter egg hunt baskets or gift baskets for Children and take around 5 minutes each to make! These are sized to A4 and will work with 8.5 x 11 if you’re looking for US sizing. Simply print onto white card (I done one on marble card too which looks SO cute!) cut and stick together. Your free printable download is right here, just click and print borderless. If you’re putting heavier treats in them I’d recommend using super strength tape on the handles, I used regular double sided tape which was fine for mini eggs! You could also embellish with glitter, pompom tails or felt ears for an extra special touch if you have more time. Also try printing onto different colours of card for different effects, I love my marble bunny! We’d love you to share your versions with us if you give it a go, leave your links below or tag us on social media!